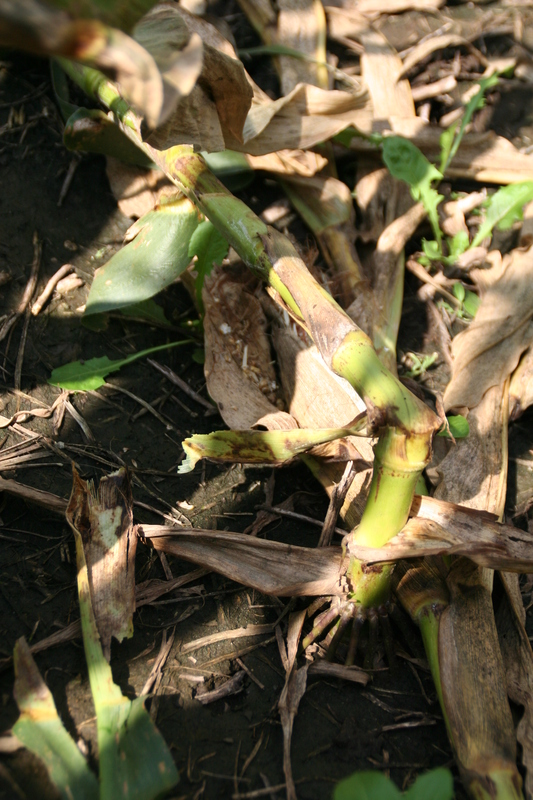 Bacterial stalk rot is caused by Erwinia dissolvens. It causes decay of the first internode above the soil. The rind and the pith become soft, brown, and water-soaked. Affected plants have a foul odor. The stalk typically twists and falls over, but the plant may remain green for several weeks because the vascular tissue is not destroyed. It can occur any time during the season, particularly if conditions are very wet. Some hybrids are more susceptible than others. 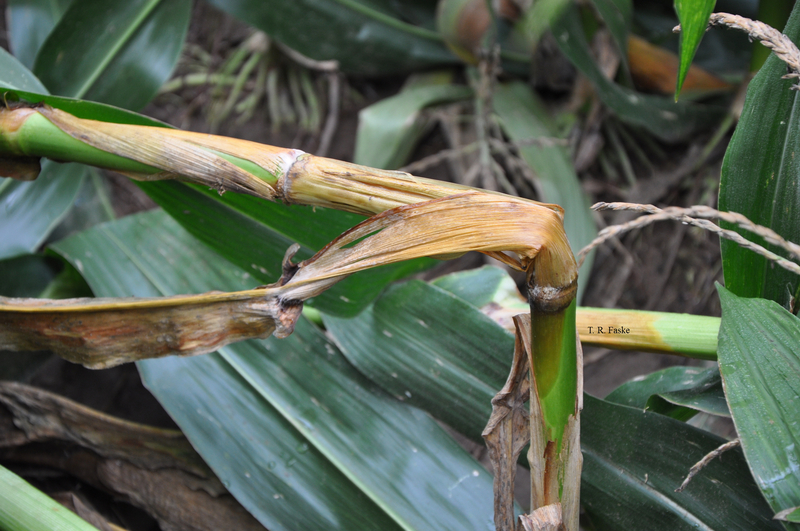 Bacterial stalk rot can cause stalks to twist and fall over. Note watersoaking below internode. 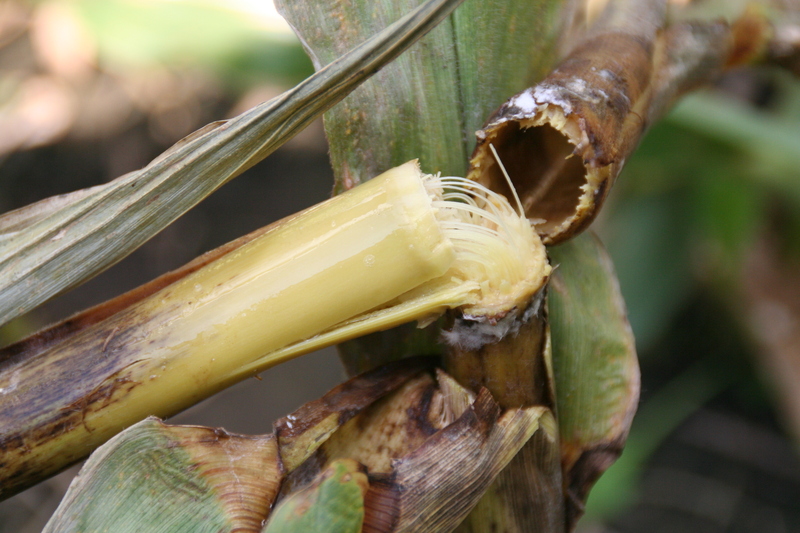 Discoloration and watersoaking of stalk tissue from bacterial stalk rot. 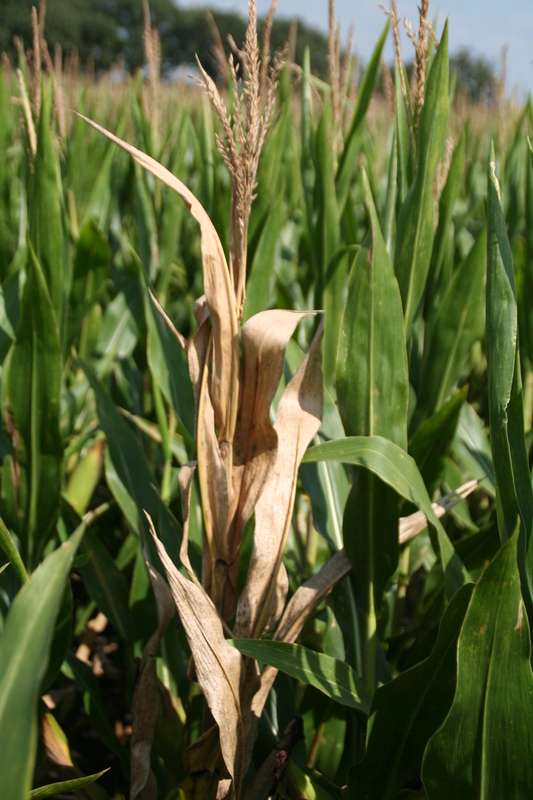 Plant death due to bacterial stalk rot. 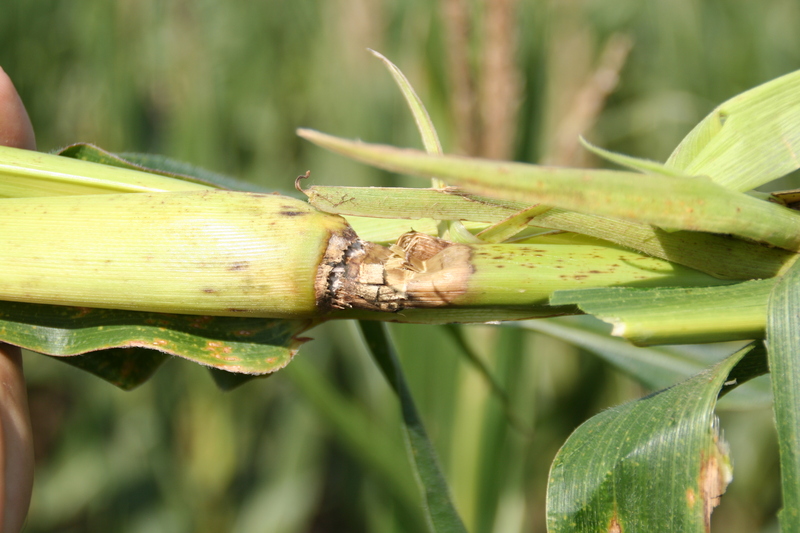 Stalk discoloration of plants with bacterial stalk rot. 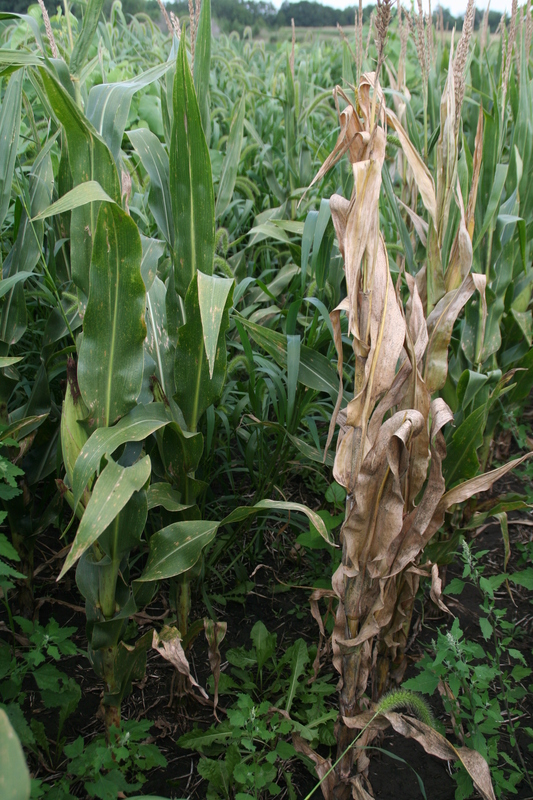 Plant tissue remaining green after stalk falls due to bacterial stalk rot. 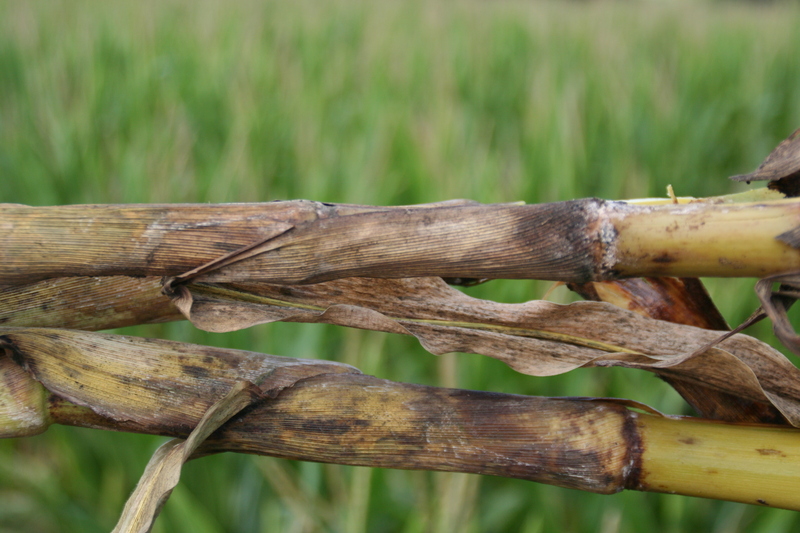 Bacterial stalk rot typically causes stalks to twist and fall over.